One of the things that keeps me going is innovation and bringing new products to the equine industry. Products that can better the lives of our horses and improve the human/equine experience. Sometimes little tweaks make the difference. Other times products need to be scrapped and you need to start over. It’s frustrating for me to see other industries advancing quickly and the equine industry continues to limp along. 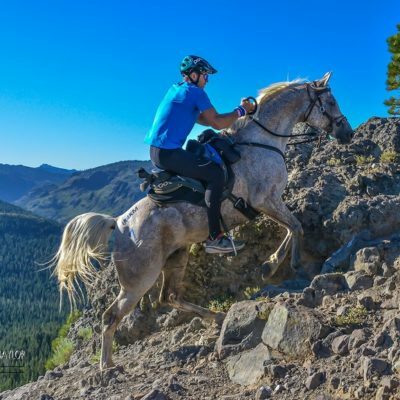 I continue to look at the advancements in the cycling world over the last 10 years and compare them to the improvements in the horse world. A bike that was manufactured 10 years ago is now a relic. Wheels have changed, most all frames are now carbon, tires and traction have improved, tubes are becoming obsolete, drop posts on many bikes, the weight of the bikes comes down each year, disc brakes on road bikes and now there is electric shifting. 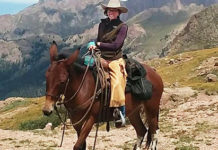 I don’t believe the equine industry will ever keep up with the changes we are seeing on the cycling, snow sports or auto industries but it’s fun to improve the products in EasyCare’s small niche. Here are some things in testing or in our immediate future. 1. 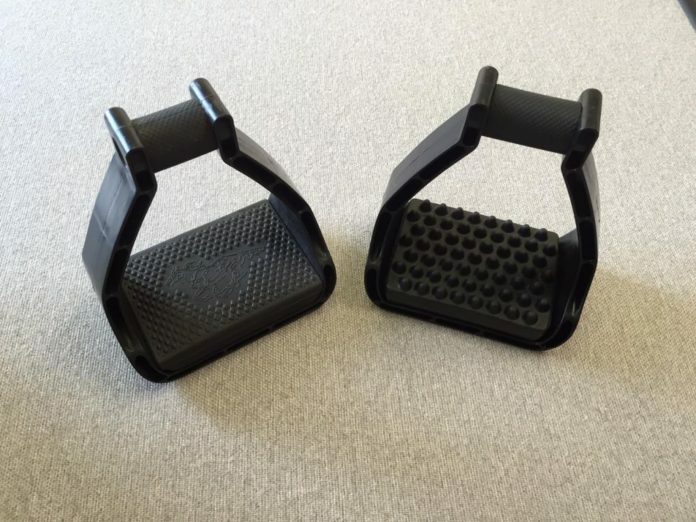 New E-Z Ride Stirrup Pads. 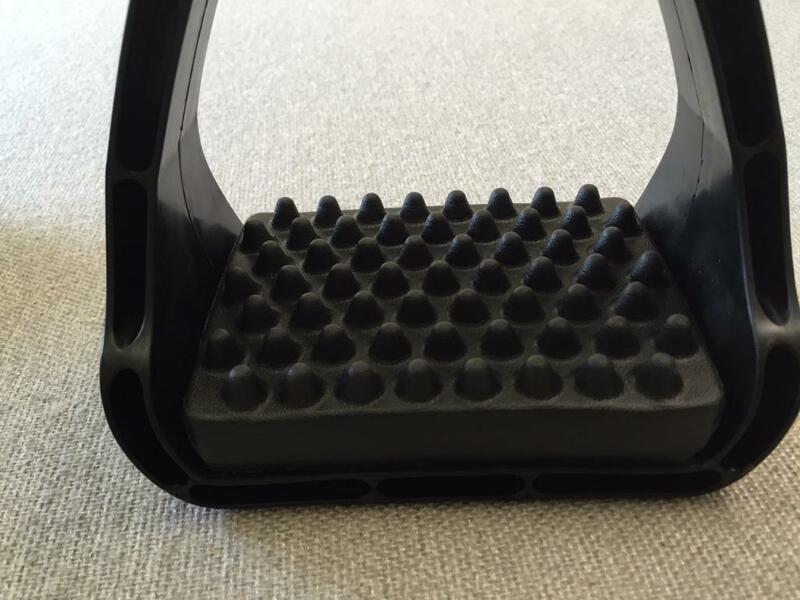 We are moving to a new EVA molded E-Z Ride Stirrup pad that offers more comfort, better stability and longer life. The new pad has a raised dimple pattern that conforms to the footbed of most riders shoes and boots. The non compressed dimples lock the riders foot in place and require less rider effort to keep the foot positioned correctly. The new pads will be available in the immediate future and should start shipping on stirrups early September. 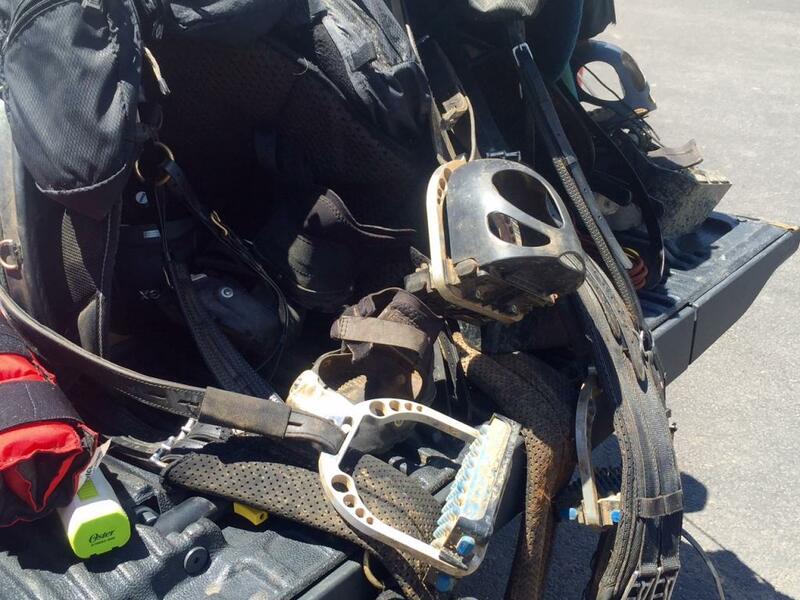 E-Z Ride Stirrups pictured with old pad on the left and new pad on the right. Close up of the new dimpled design. 2. E-Z Ride Ultimate and E-Z Ride Ultimate Ultra. 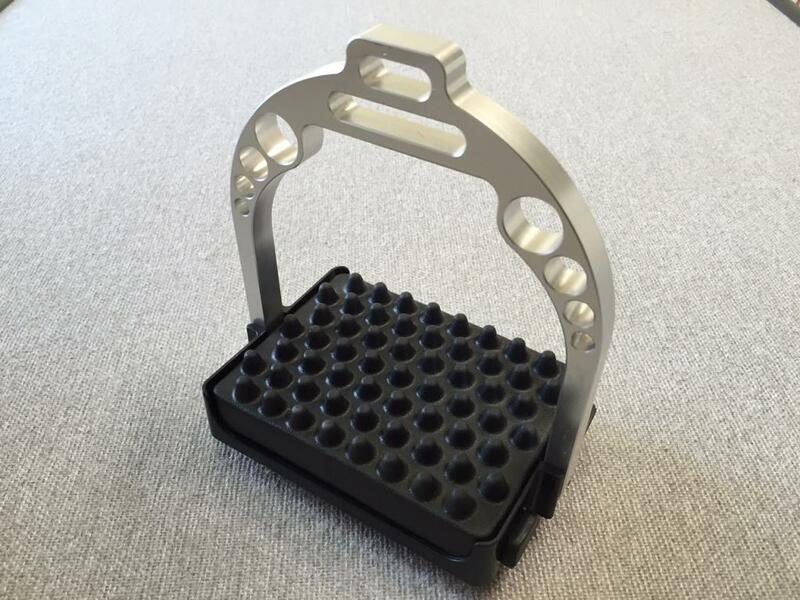 EasyCare will be launching a new stirrup design in mid September. The E-Z Ride Ultimate (Pictured below) is manufactured with an aluminum hoop, urethane base and an EVA pad. The base quickly attaches with two bolts and the pads snap in without glue. A cage system also snaps into place without bolts and hardware. The E-Z Ride Ultimate Ultra has an aluminum base and will come with a lifetime guarantee. Both versions are Tevis tested and finish in the top ten. The E-Z Ride Ultimate pictured above. The E-Z Ride Ultimate Stirrups after the 100 Mile Tevis Cup. Cage and non cage options in the photo. 4. EasyCare Comfort Pads. We have changed our manufacturing process on our comfort pads and have just completed new EVA molds. The new system will have less part numbers and will fit all EasyCare boot models. Although the molds are very expensive the EVA molds give us the ability to make a much better product and offer different densities. Getting a horse comfortable and moving is many times the key to life and death. The new pads will save lives. Look for the change soon. 5. EasyShoe Ultra. 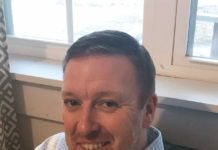 Curtis Burns (Polyflex) and I have made progress with our EasyShoe line and have seen success in endurance, dressage, sport horses, and eventing. 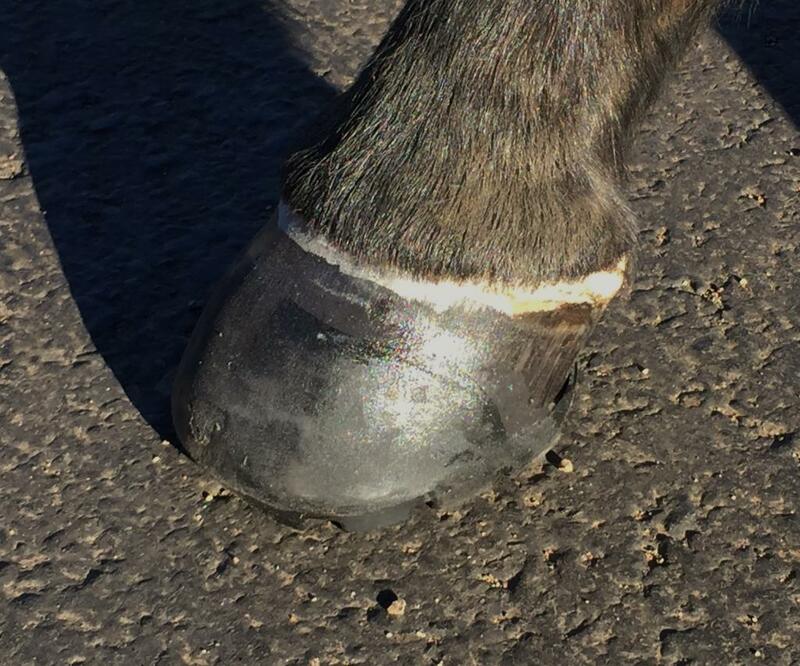 Even with the progress we have come to the conclusion that many farriers will never embrace adhesives or learn the skills necessary to become successful with glue-on shoes. In addition the glue-on process is many times cost prohibitive. 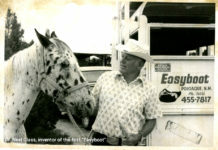 We believe there is a need for a urethane nail-on shoe that allows hoof mechanism. We have been testing several prototypes with major success. It’s been great working with Curtis and bringing new concepts to the market! The wide web version pictured above. Jeremy Reynolds and Honor place 2nd at the 75 mile North American Endurance Championship in the new prototype. Honor had the new shoes front and back. 6. Flip Flop. This concept is actually one of my favorites. In essence, the idea amounts to a flip-flop design with a conventional upper that extends backward only roughly to the widest point of the hoof. The widest point of the hoof has the least amount of movement in both the vertical and horizontal planes. Because of this lack of movement, the bonds between the shoe and the hoof hold much tighter and are much less likely to fail than at the heel. As a result, it is surprisingly more durable than shoes bonded along the entire sides of the hoof. 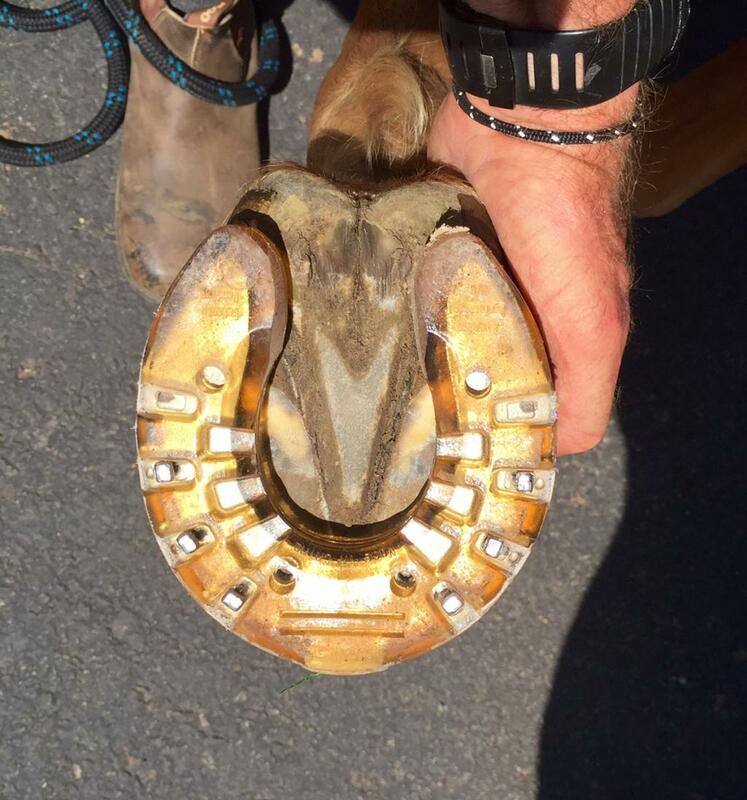 The absence of an upper in the rear half of the shoe ensures that the heel and the entire back portion of the shoe is not connected to the hoof. As a result, the heel is allowed greater movement in all directions, which, in addition to improving the durability of the bond between the upper and the front portion of the hoof, also allows more movement of the hoof which in the long run results in a healthier hoof. The design has now won several endurance races, best condition awards and continues to stay in place for a full trim cycle. The current mold design. The longer length allows them to be trimmed in the length. An early install of the Flip Flop. Off to win a 50 mile race. 7. EasyShoe BMF. A bit different take to the EasyShoe. Full front cuff ease the installation process and give horses that don’t do well in direct glue applications another option. Ernest Woodword and team have played with the concept a bit and have done some trick installs. Ernest named them the “Bifurcated Motion Footware”. The BMF also has a tread that accepts the EasyCare Therapy Click System. 8. Easyboot Sneaker. A boot for trail riders with a unique patent pending feature. 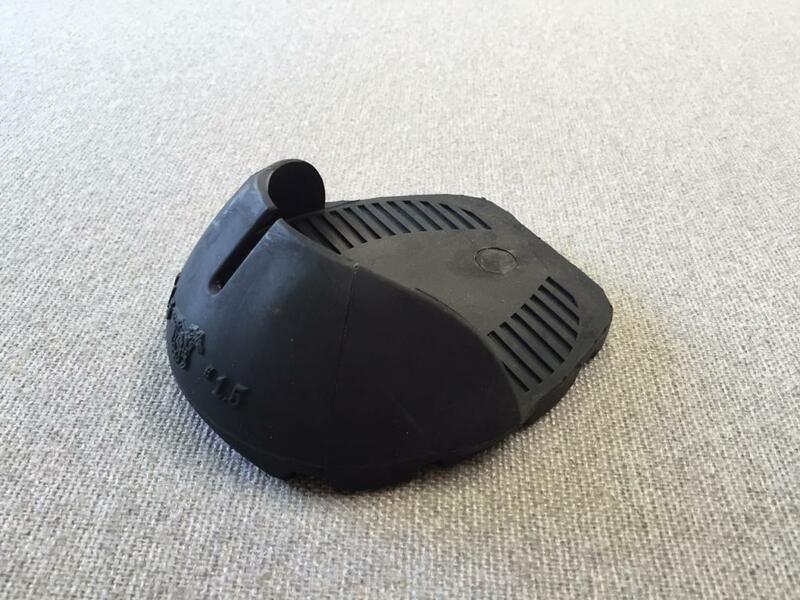 The boot has an floating heel counter that pulls the hoof forward during application. 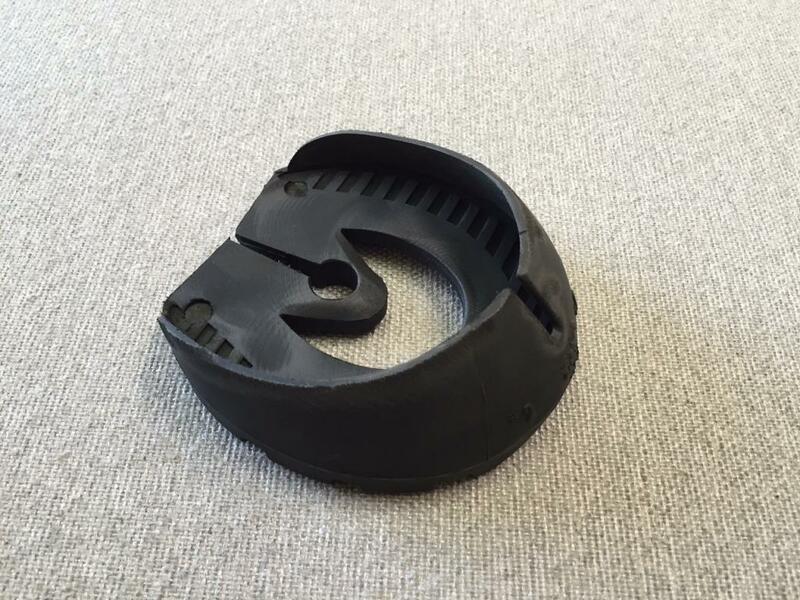 The heel counter locks the heel into place and helps push the toe forward in the boot for correct breakover. 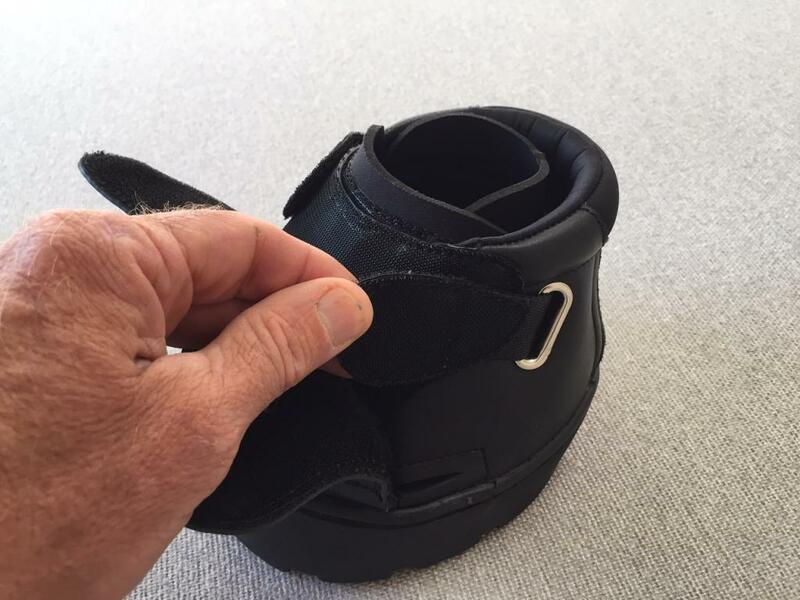 The boot is testing very well and should hit the market in early 2016. 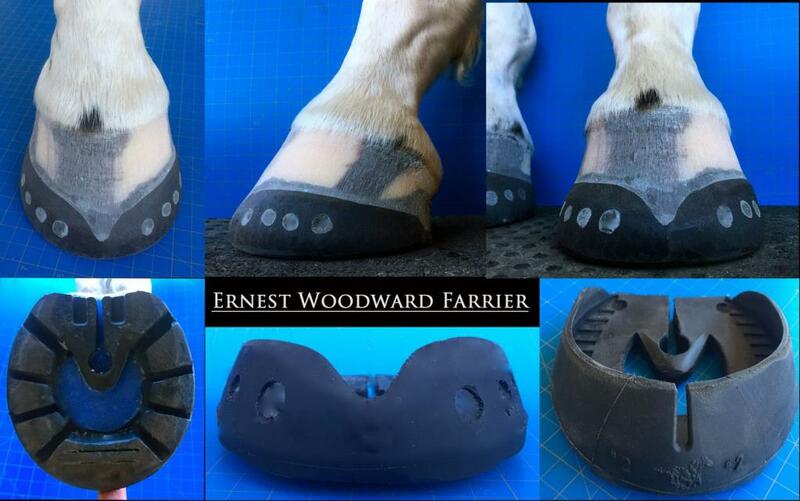 We have finished molds on a very small boot that will fit a foal or mini with feet 50mm in width. 9. Easyboot Glove and Easyboot Y. Some of the most exciting test results are in the new Easyboot Y and Easyboot Glove. The Glove was a game changer in the equine boot world when it was released in 2009. The new versions will make another big leap forward. More to come soon. 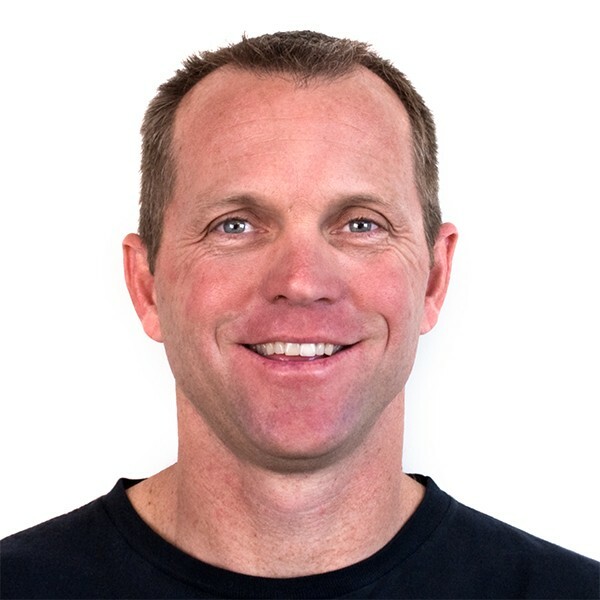 Some great changes and additions for EasyCare’s line. We are working hard to complete testing and manufacturing so we can help improve the human/equine experience. Let me know what you like, dislike or what you would like to see in the future.